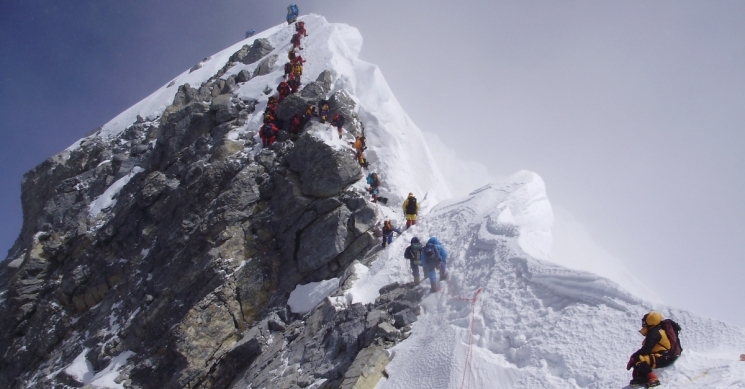 It has been confirmed by Mountaineers that the famous feature of Mount Everest, Hillary Step, has collapsed. It is believed that Hillary Step may have fallen victim to Nepal’s devastating 2015 earthquake. The near-vertical 12m (39ft) rocky outcrop was known as the most technically difficult part of the typical Nepal-side Everest climb. Climbing the Hillary Step had the danger of a 10,000 ft (3,048 m) drop on the right (when going up) and an 8,000 ft (2,438 m) drop on the left. The loss of the Step could potentially make the world’s highest peak even more dangerous to climbers.